It’s Christmas early for Cloud Commerce Pro Pack Station users. As you know, the Pack Station is the best way to pack orders and is one of the smartest features of Cloud Commerce Pro and also one of the features that sets us apart from the competition. Today we are delighted to announce a big improvement to Pack Station which will now group your orders together if you have multiple orders for the same customer. 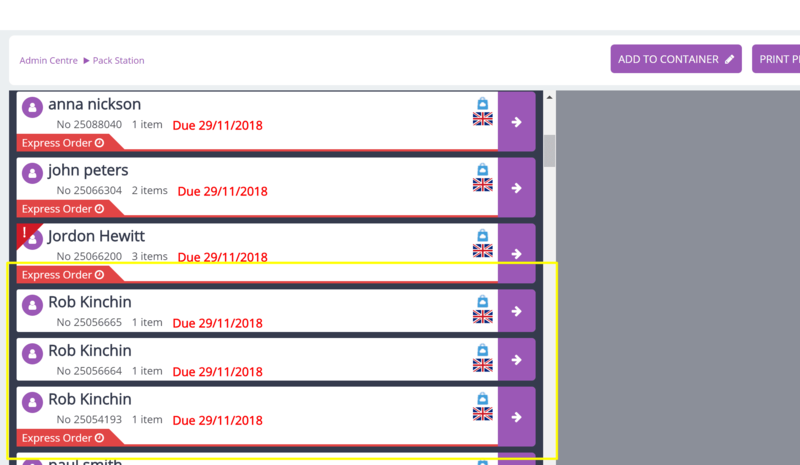 In the example below, you have three orders for the same customer but each of these would have needed to be dispatched on their own. 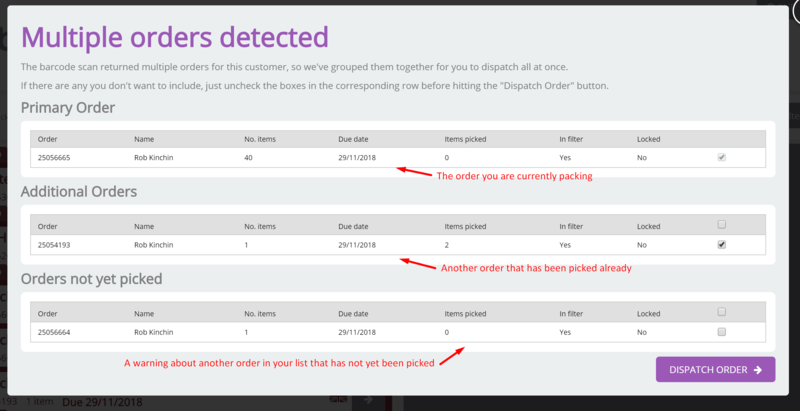 Alternatively, you would have had to use the main dispatch view to group the orders. Now Pack Station will automatically suggest grouping them together for dispatch purposes. In this example we have three orders, the first one being the order you are packing, the second one being another order that has already been picked by your warehouse team, and a third that has not yet been picked. You will see that the first two orders are automatically ticked but the third is not. If you wish you can pick the third order and tick it and dispatch that one too. Once you are happy with your selection (which in most cases will be the automatic selection) just click the Dispatch Order button and proceed to the normal packing screen. Now you will see the contents of all selected orders merged into one packing screen and the Shipping Rules engine will have automatically selected a new shipping rule based on the weights and dimensions of the total order. It’s the sort of magic you would expect of Santa at this time of the year! Please note that any invoices you print are NOT merged as these are documents that represent each order. If you send email triggers then a trigger will be processed for each order. The only documents that are combined are the shipping labels. We hope you love the new feature that makes packing by the Pack Station even faster than it already was.